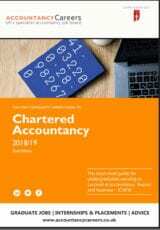 Welcome to Accountancy Careers, the most comprehensive source of information for anyone interested in a career as an accountant. Gain a real understanding of the accountancy profession with our in-depth careers advice written in partnership with the Institute of Chartered Accountants in England and Wales (ICAEW) and experts in the profession. Here you can find information on the areas of work, skills required, applications and interview advice, professional training, accountancy salaries, plus much more. You can also find out all you need to know about the leading accountancy recruiters and their accountancy jobs, ranging from school leaver schemes, internships, placements and graduate jobs. Don’t forget to sign up for the latest career newsletters and accountancy jobs. How will the HEAR help you get a graduate job? What Skills do Graduate Employers Look For? Work Experience & Internships: What opportunities are out there? What research should I do before applying for a job? What are the STAR Principles? What are school leaver schemes?